Welcome to Record Breakers 2018-2019 class page! 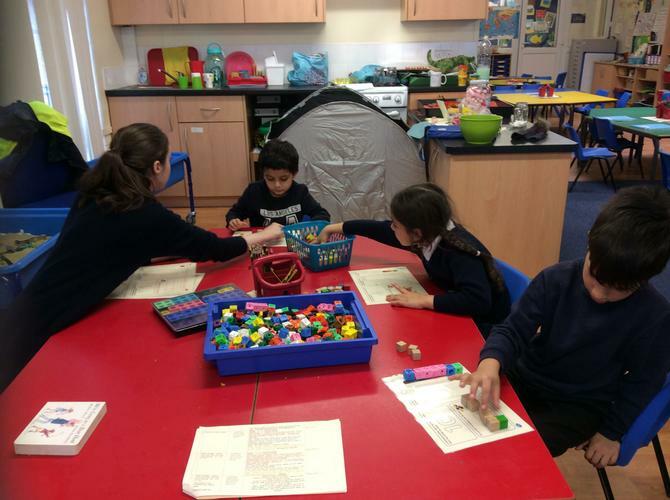 Our class teacher is Miss Gannon and our Learning Support Assistants are Mrs Smallwood and Miss Hughes. Reminder - P.E. is on Wednesday's. Please make sure P.E. kits are brought in! 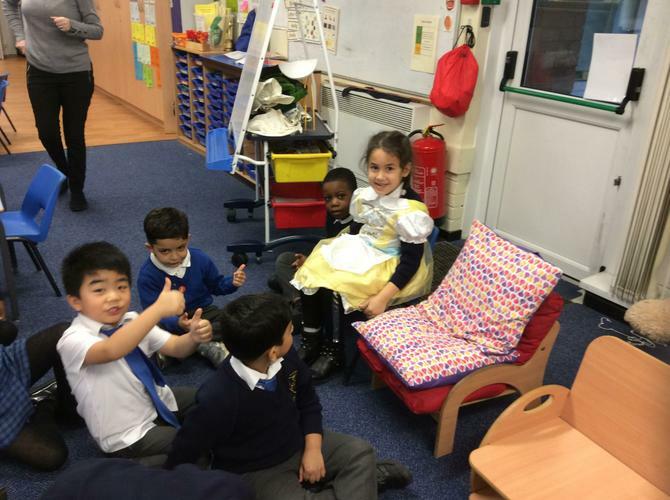 English: Writing a diary using 'The Queen's Handbag', Fantasy settings and characters from familiar stories and films such as Peter Pan, The Little Mermaid, Shrek etc. 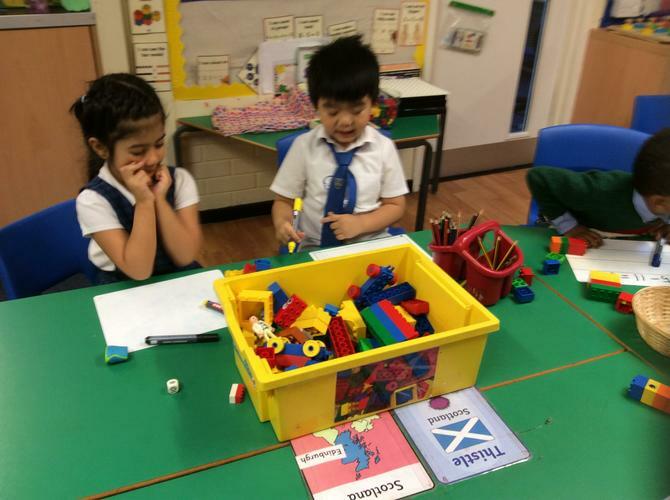 Measurement - length & height. Who is our Queen? What cities and towns are in the UK? Researching facts about Queen Elizabeth II. Using a timeline to sequence significant events that have occurred in Queen Elizabeth II's reign in chronological order. Observational drawings of flowers inspired famous artists. Come and See: Holidays & Holy days, Being Sorry and Neighbours. 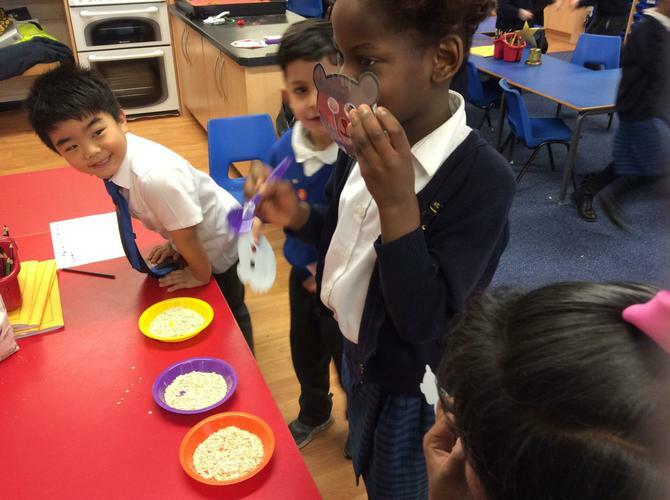 We have been super mathematicians this week for our enterprise project by measuring each of the ingredients for our sustainable palm oil rocky roads and slapjacks. 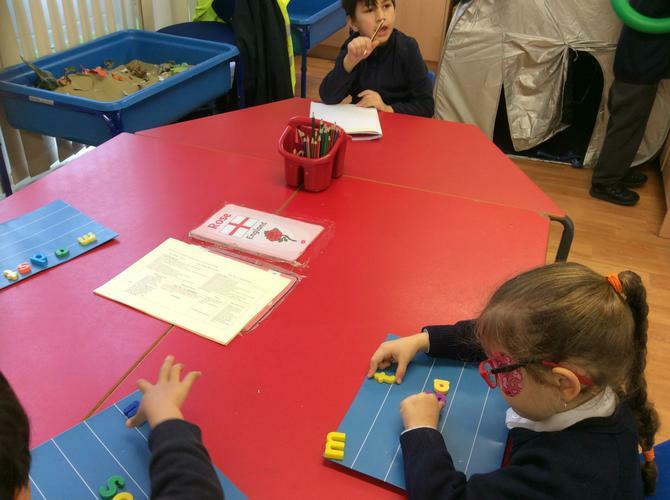 English: Writing recounts using Goldilocks and the Three Bears, looking at familiar settings in 'We're Going on a bear hunt'. 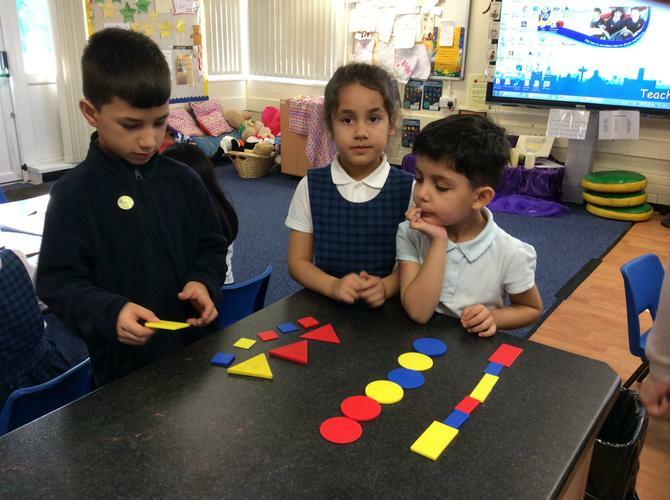 Maths: 2D shape/3D shapes, telling the time (o'clock and half past), number bonds to 20. Old vs New toy bears. Comparing what materials were used to make old bears and how the materials for toy bears have changed and developed over time. 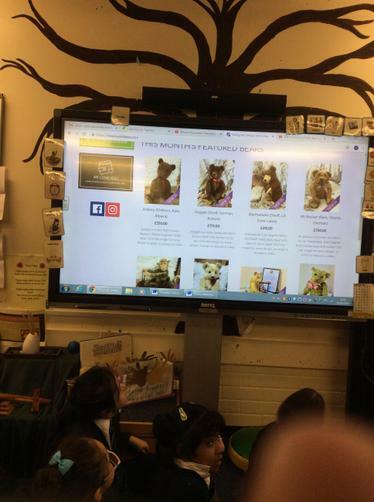 Buddy the Bear Internet Safety. Sculpting: cutting and moulding bears using clay. 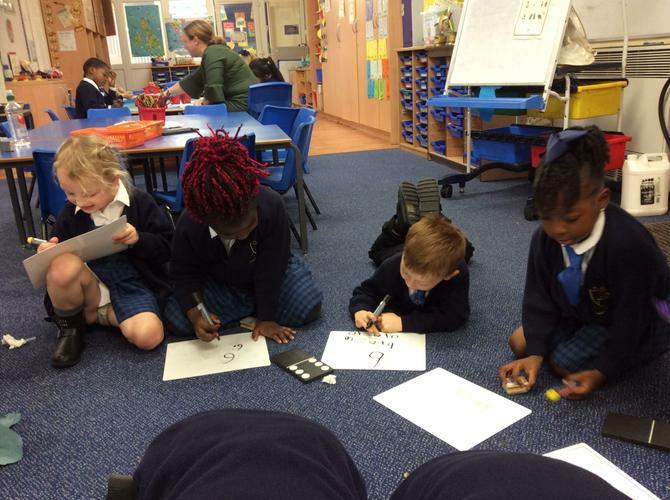 Using different lines to draw bear portraits. Come and See: Special People, Meals & Change. 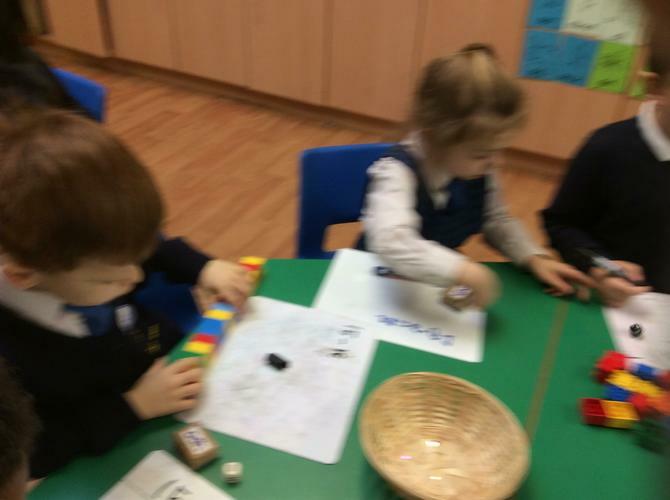 What we know about bears and toys and what we would like to find out! 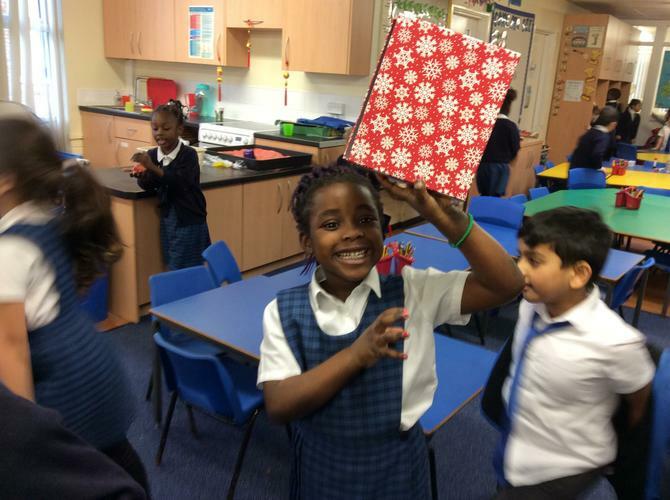 Finding out what old toys are worth and how teddy bears are stuffed. 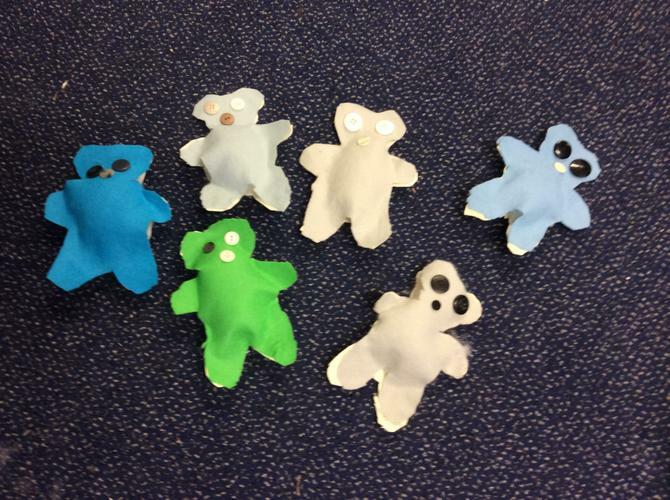 We even had a go ourselves making and stuffing our own little bears. 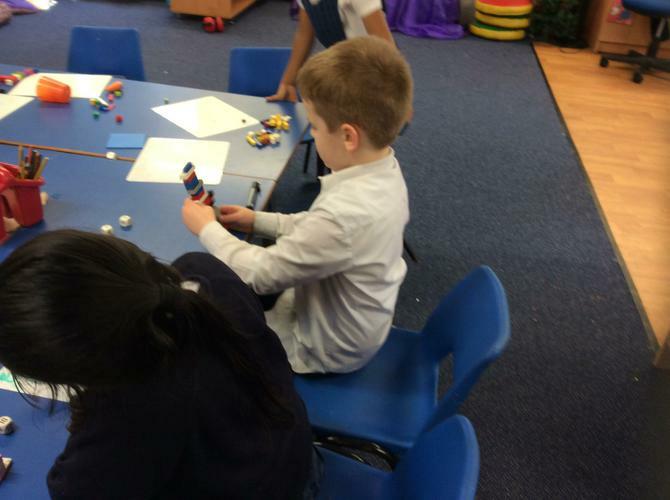 We evaluated our bears and then made a rubric to help us improve and sculpt our bears again. 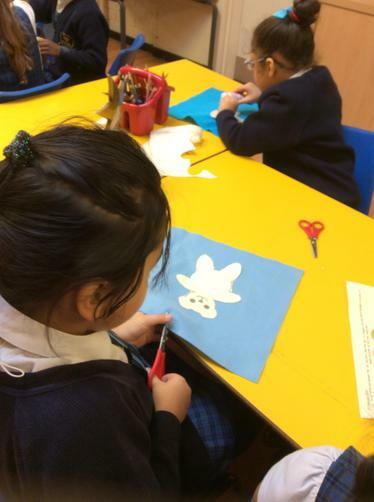 We have been designing our own bears and are now cutting and rolling clay to sculpt our bears. 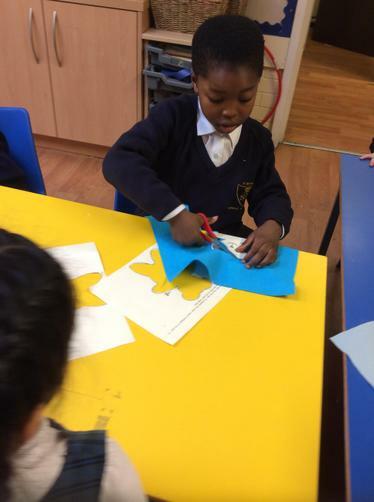 We have even used our knowledge of 3D shapes to help us make the bear’s body parts. 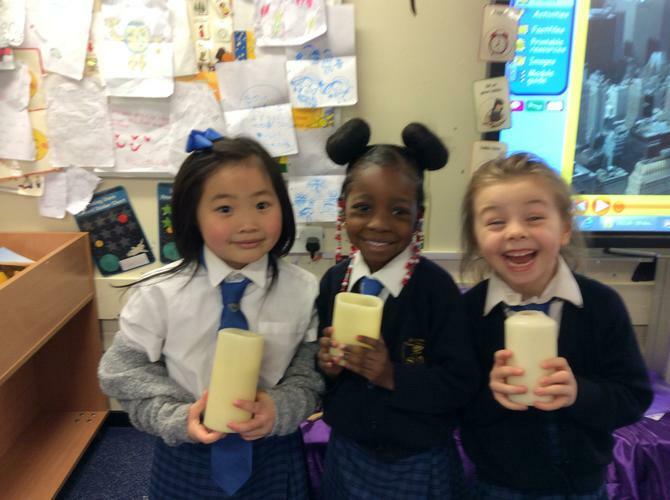 We have been investigating what materials are absorbent. 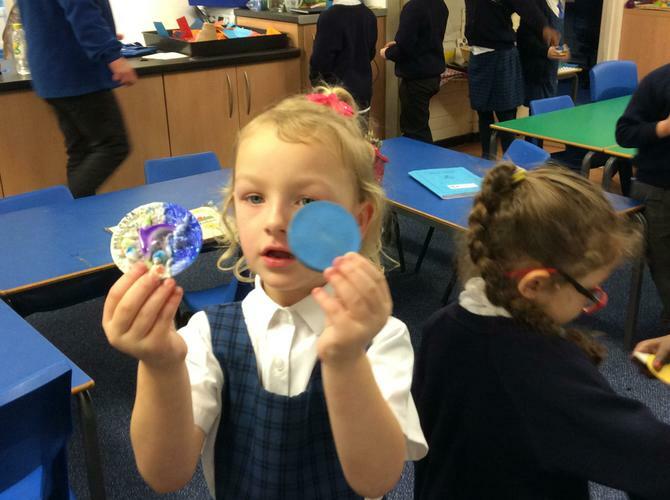 Investigating what types of paper sink or float and investigating different materials which float and sink. 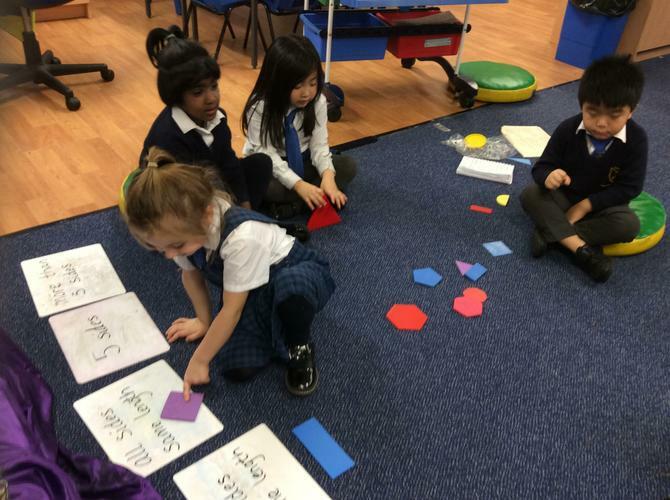 We have been making the settings in a bear hunt and using adjectives to describe them. 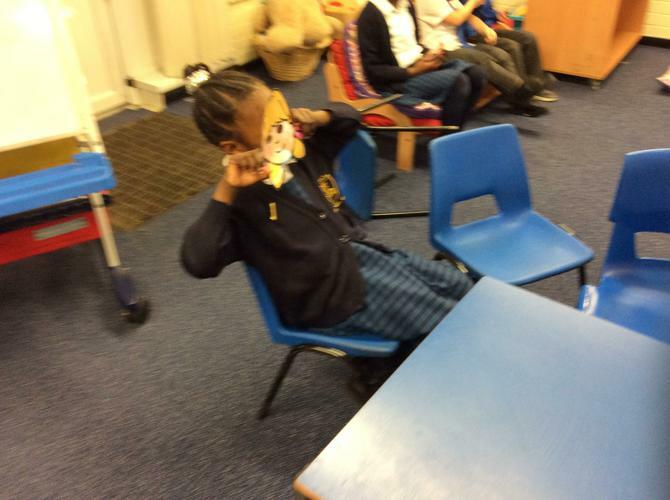 Being news reporters and police officers questioning Goldilocks and the three bears on what’s happened in the cottage. 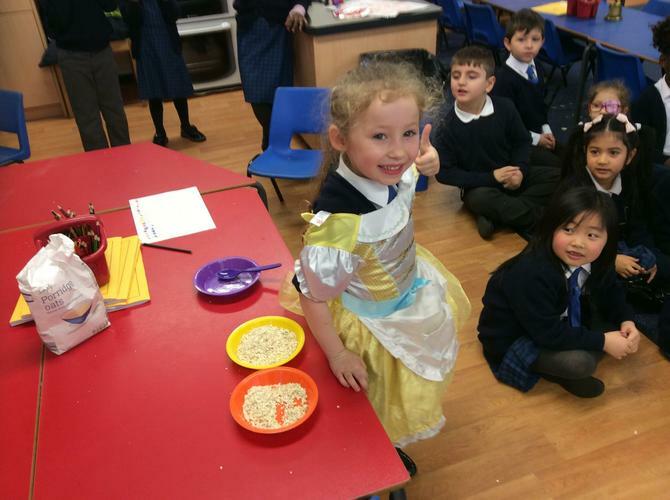 Recounts of the begging of the story of Goldilocks and the Three Bears! 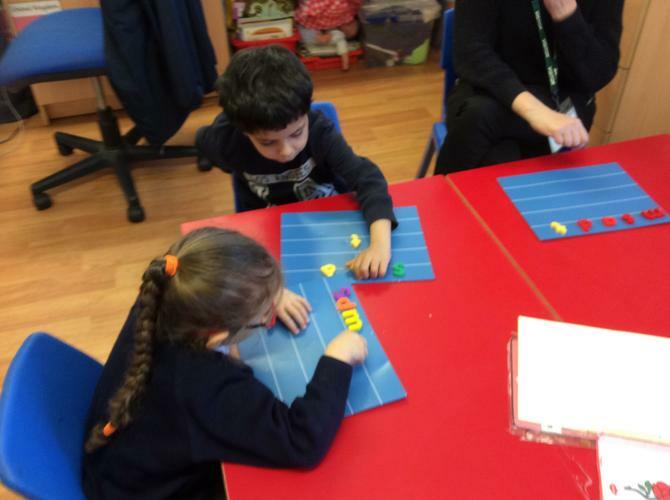 Some of us have been counting and recognising numbers up to 7. 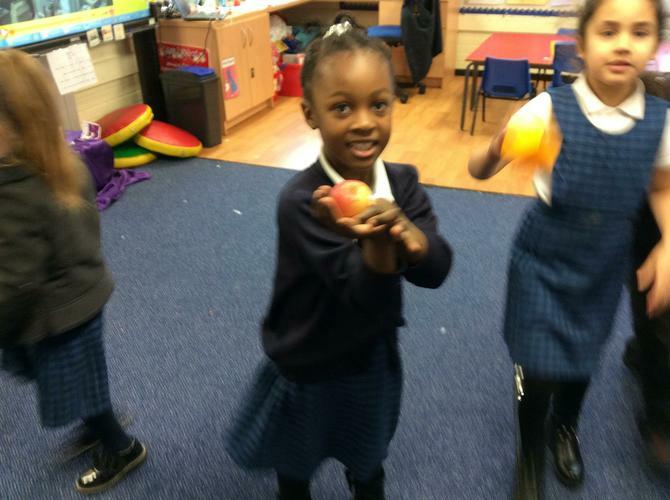 It’s all about the shapes!! 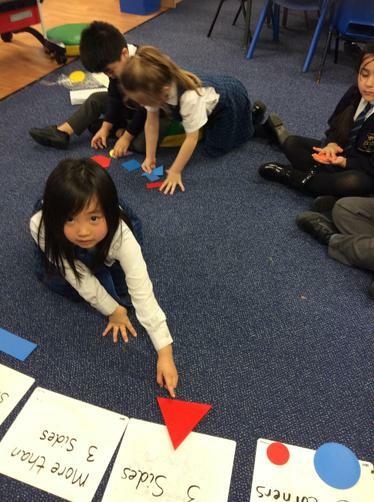 We have been exploring 2D shapes and their properties. 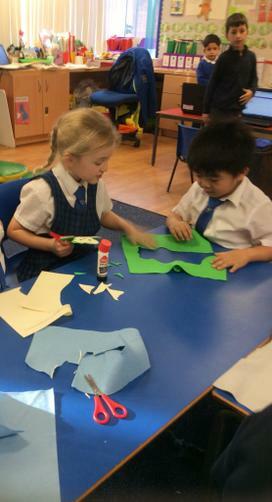 Can you guess Albert’s 2D shape? 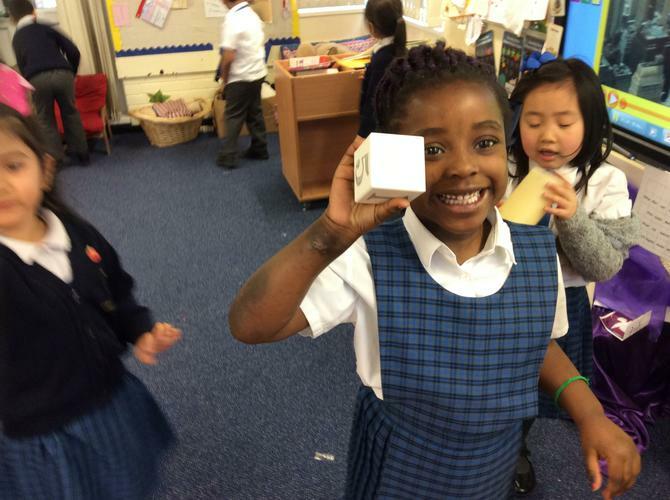 We have also been exploring 3D shapes and their properties. Please use the Thinkuknow website (link below) to help you stay safe online! 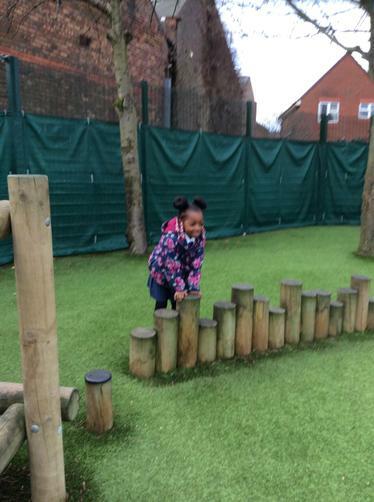 This half term we are practising travelling and balancing. 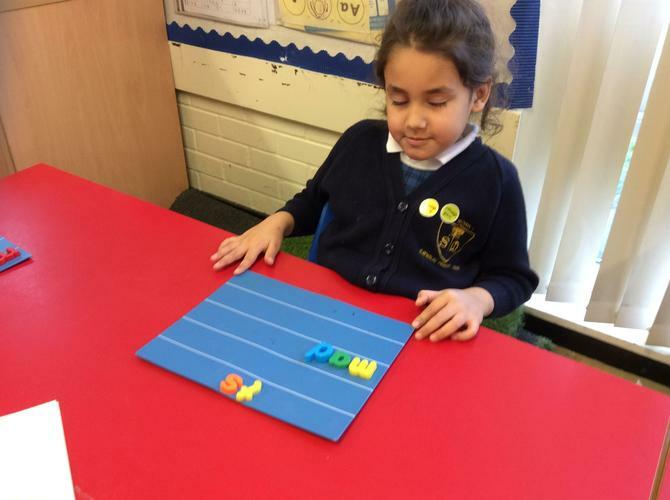 We love learning new sounds in phonics as this helps us with our reading! 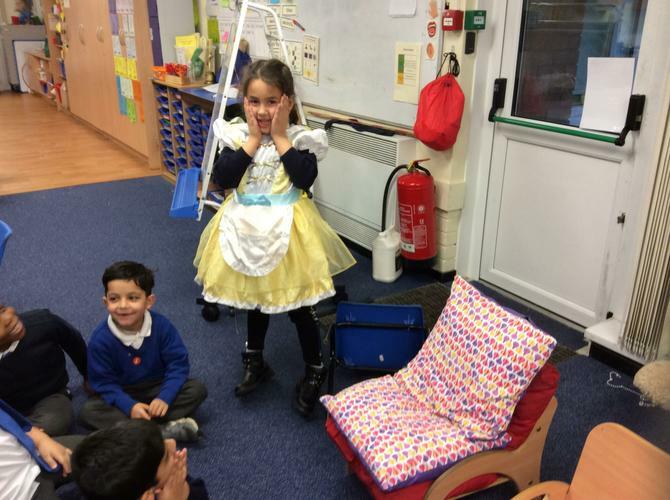 Special people - we have been role playing and talking about. 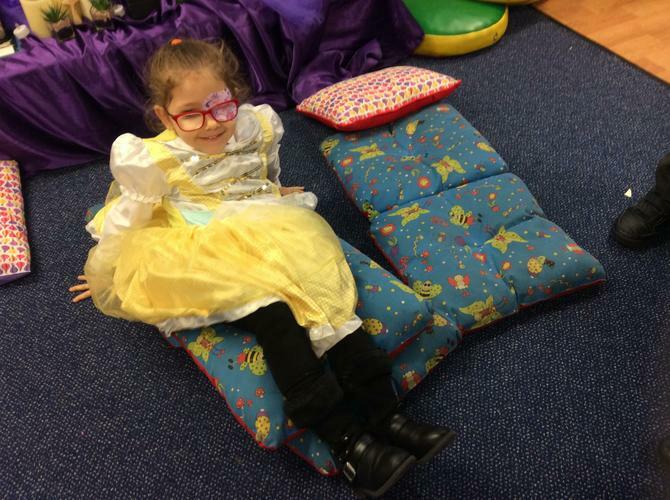 different special people in our lives and explaining why they are special. 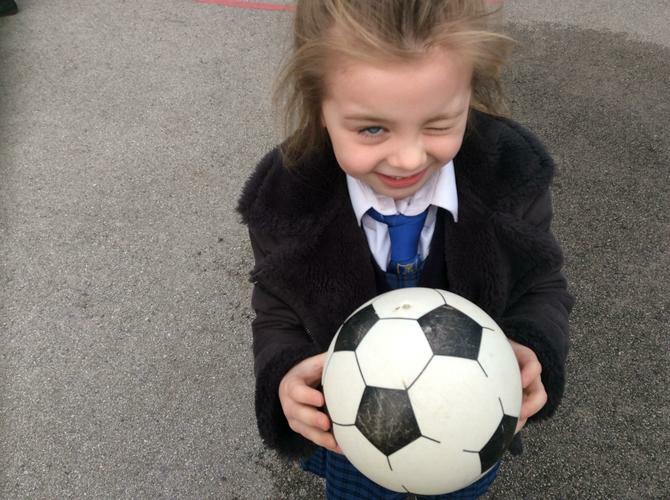 Riley - “It is really boring”. Gabriel - “It was dull”. Peer critique on sentences describing dinosaurs! 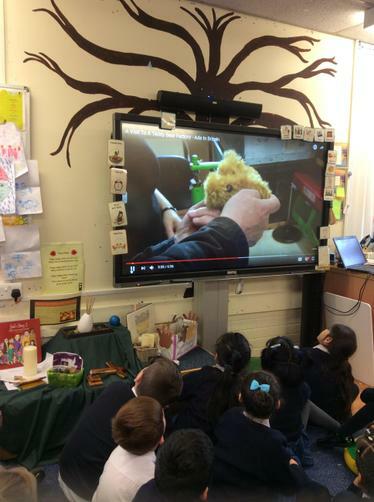 Logging onto the computer ourselves to go on reading eggs and to research facts about dinosaurs! 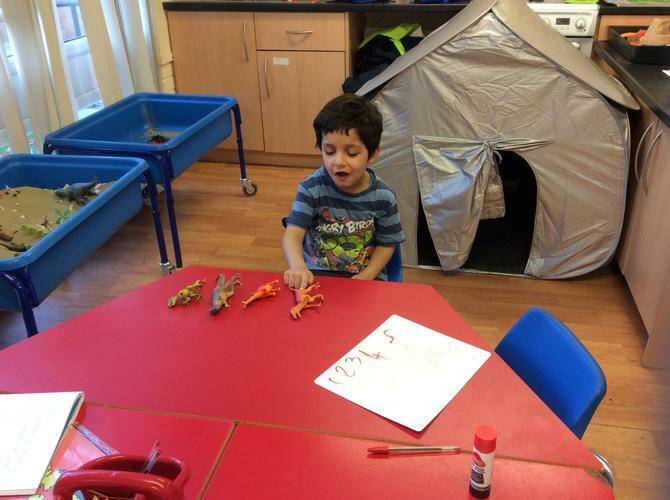 Autumn 2 - Animals & Dinosaurs! 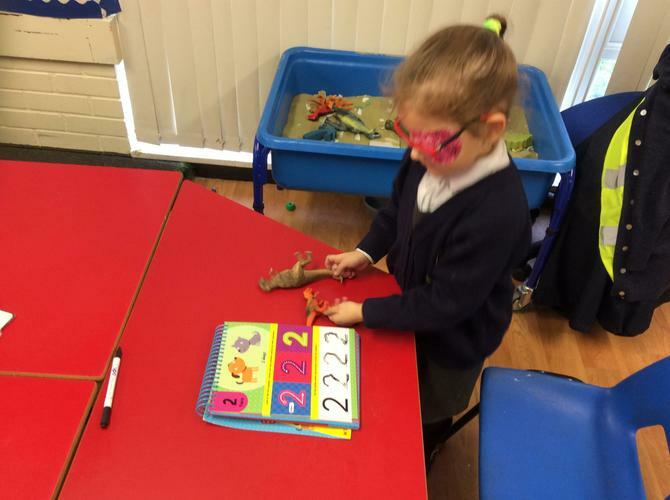 For our topic this term we are learning all about dinosaurs. What type of dinosaurs existed? When did they exist on Earth and why did they become extinct? Why don't you research dinosaur facts with your child. 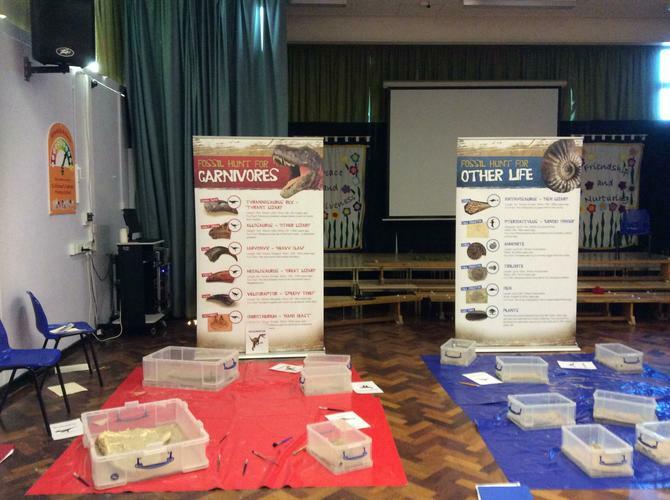 Follow the links to different websites to help you research dinosaur facts and your child can come and share with the class what they have found out. How did a pterodactyl get its food? How did dinosaurs get their food? Did dinosaurs roar in their sleep? Why did dinosaurs make noises? 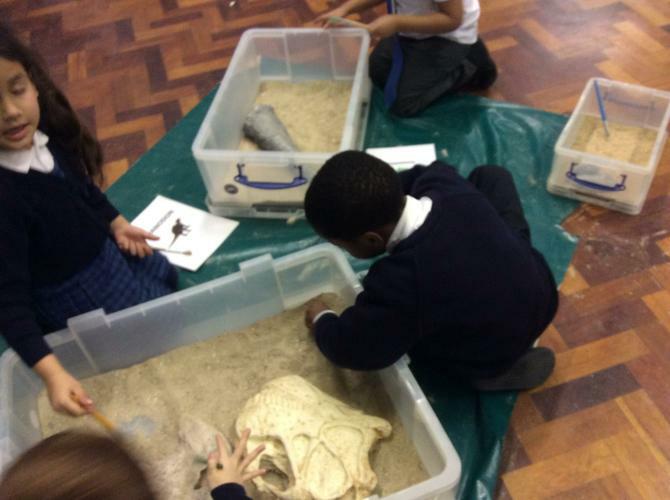 Dinosaur workshop - being palaeontologists! Researching dinosaur facts for our dinosaur fact books! 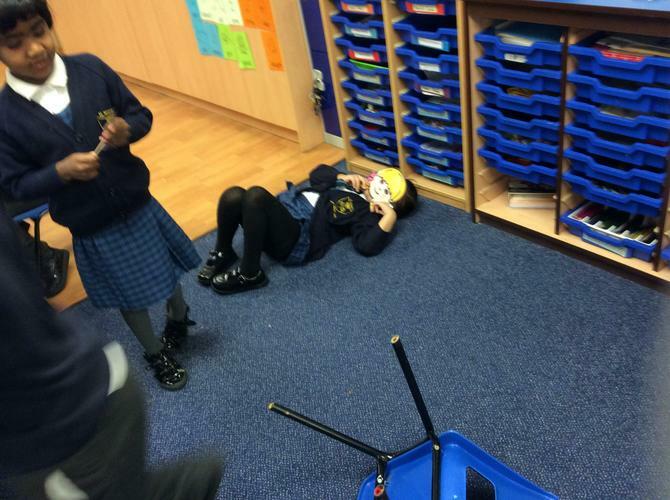 Pterodactyl's were not dinosaurs they were flying reptiles - Michelle "a reptile has scaly skin". 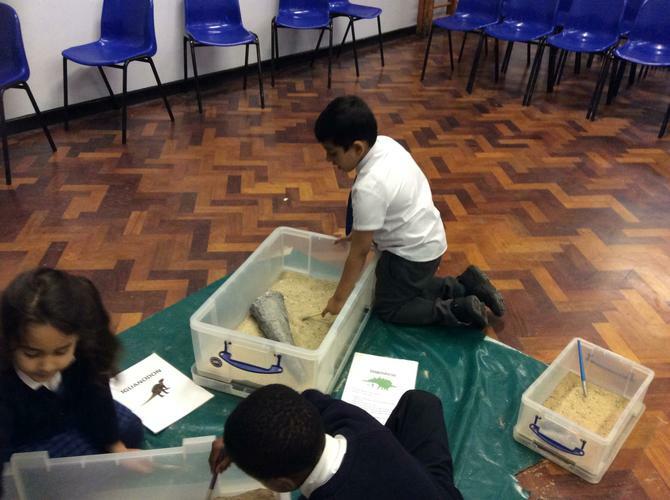 Pterodactyl's ate insects and fish. 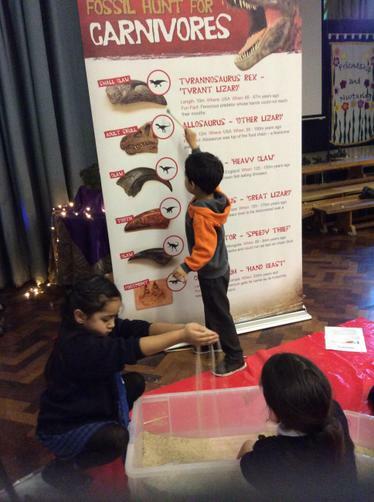 Did you know dinosaurs who were carnivores had strong legs to help them run fast to catch their prey? 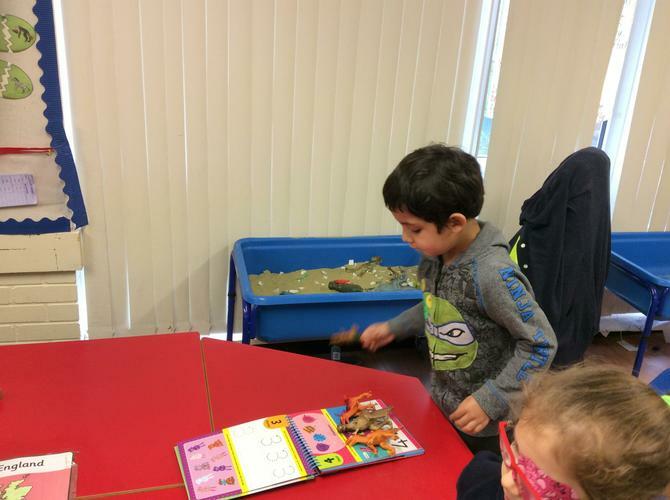 Gabriel - "A Stegosaurus' plates change colour to stop other dinosaurs eating and attacking them like a T-Rez which is a carnivore." 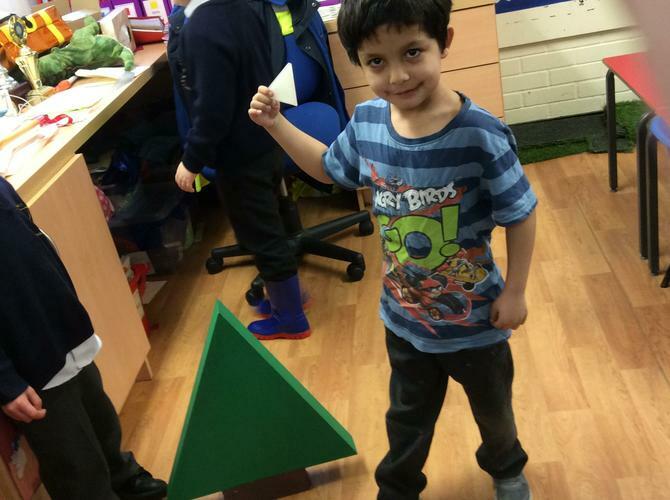 Fabricio - when talking about a Triceratops - "It has 3 horns". 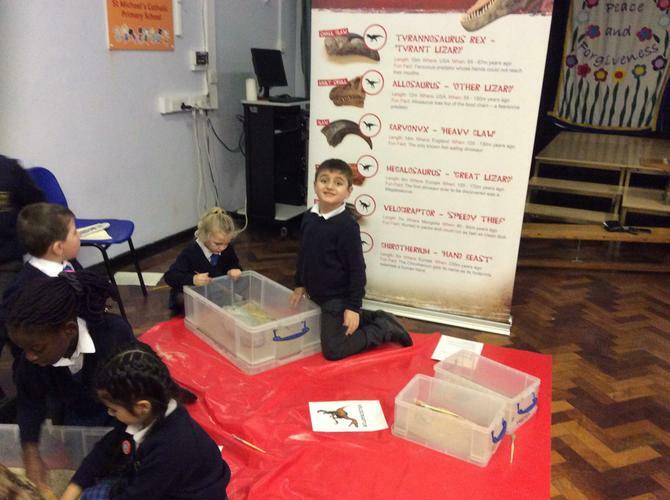 Some dinosaurs are herbivores like a Stegosaurus, Triceratops and a Brachiosaurus. Others such as T-Rex and Velociraptor are carnivores. There were even some that are omnivores (they eat meat and plants). If you can count to three, you can easily spot a Triceratops. One, two, three...check out his horns! 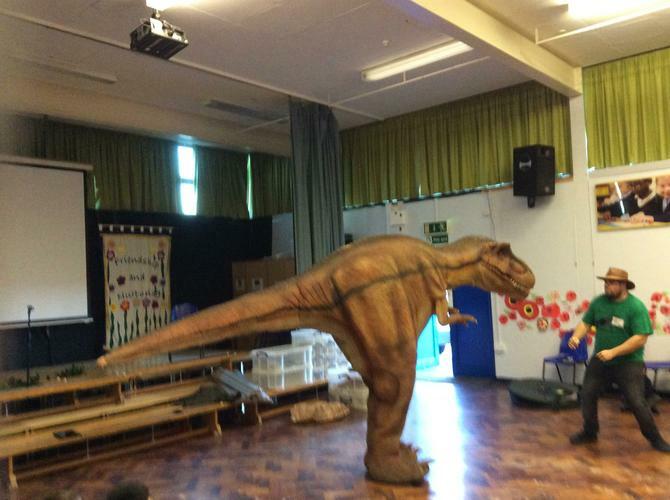 Dance, rap and strut along whilst learning about different dinosaurs! The StoryBots are curious little creatures who live beneath our screens, offering a world of learning and fun for kids and parents. You can tell a Stegosaurus from the plates on his back. They're for attracting mates, regulating body temperature, and looking cool! grouping animals - insects, amphibians, reptiles, mammals, birds & fish. 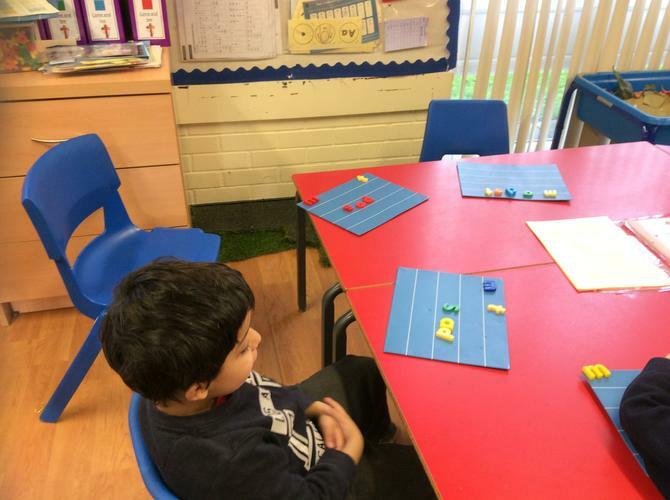 - counting in 1s and 2s from any given number forwards & backwards. - saying one more/one less than a number e.g. 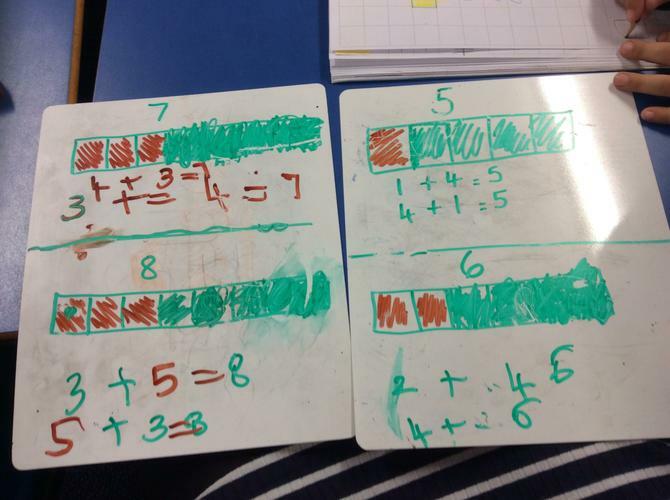 1 more than 17 is 18 (we know more than means adding one) 1 less than 52 is 51 (less means fewer/take away). 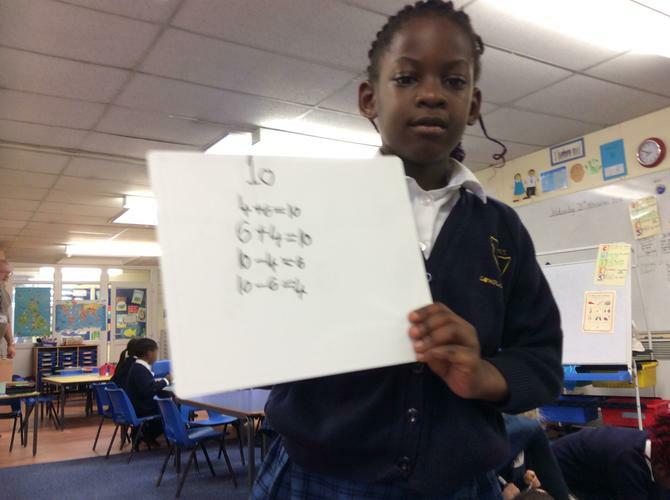 - recalling number bonds to 10. 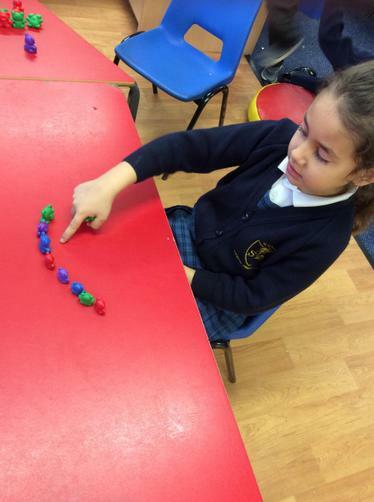 - counting in 1s and 2s forwards and backwards from any number (up to 100). Autumn 1 - All about me and where I live! 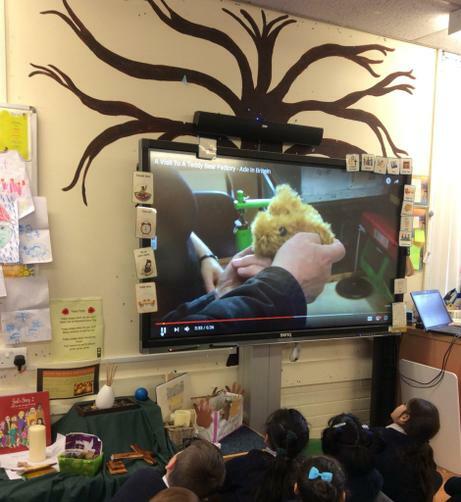 We have been looking at a video clip of 'Bubbles' and talking about describing the beach where the little girl was walking along and found some bubbles. 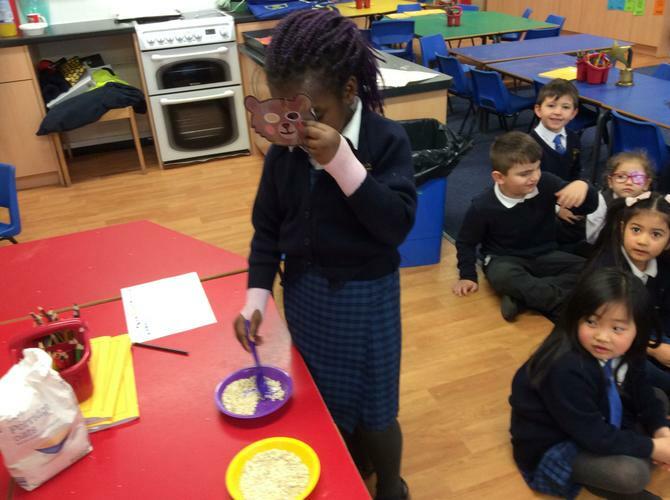 We used our senses to explore what we could see about the beach in the hear, what we could hear and how the sand would feel. 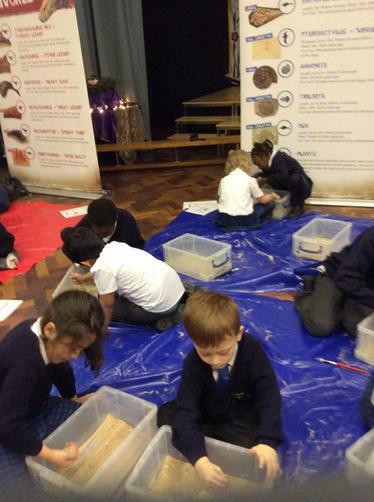 We did this by have a tuff tray of sand and using our hands to feel to help us describe what the sand felt like. 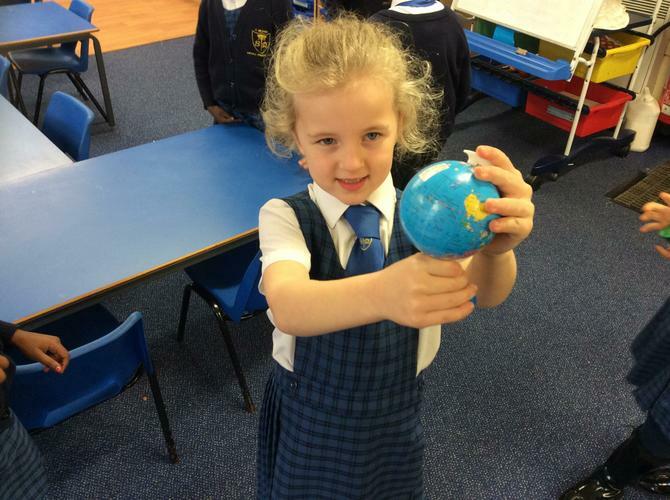 Geography - Where do I live? Where is our school? 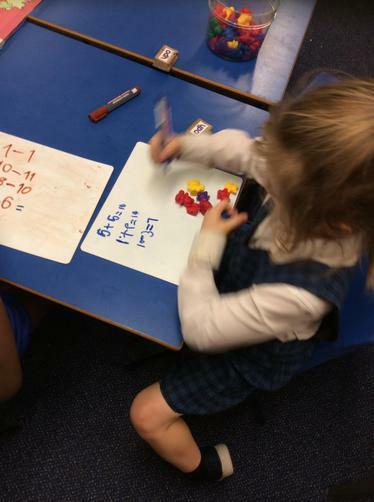 We have been looking at where we live and what is in our local area. We have been using google maps to find where our house is from aerial view. 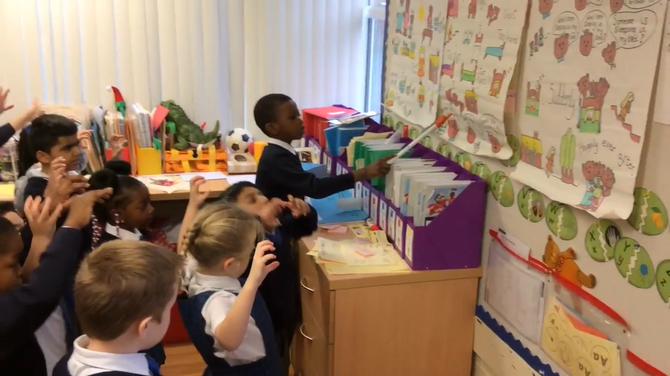 We have also been giving instructions using positional language (go forwards, backwards, turn left & turn right) of how to find our house when using google maps. 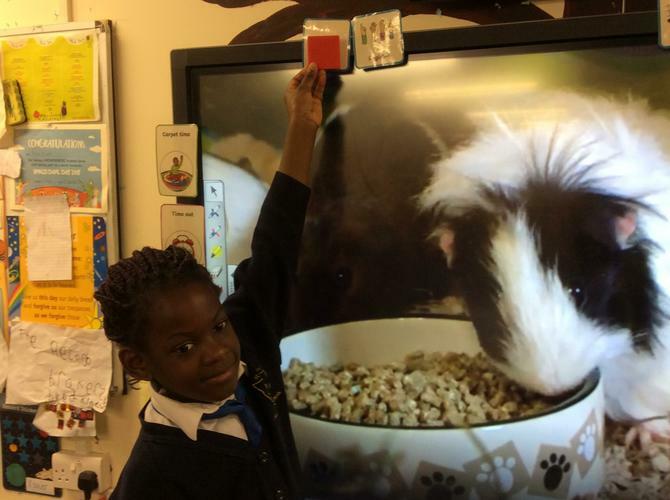 We have explored our school by google maps and looking at aerial view photos of our school. 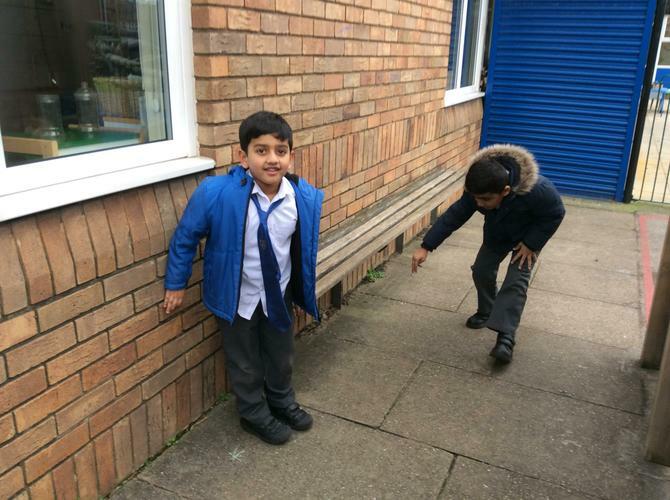 We have begun to develop our map skills by drawing a map of how we can get from one area in our playground to another. Why not google maps your house? Our school? Liverpool city centre? 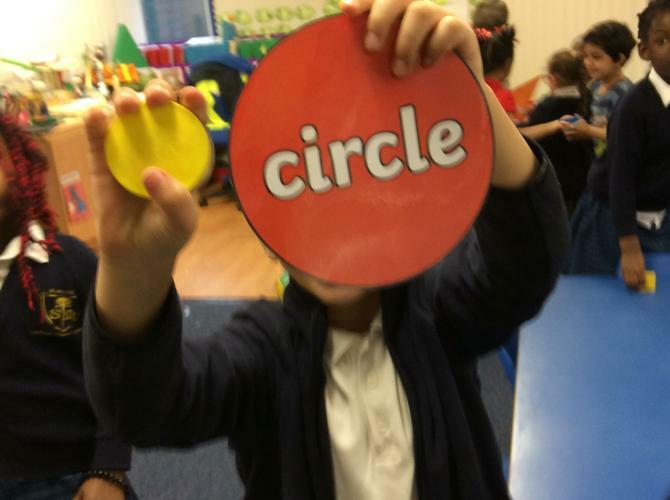 We have been naming parts of the body we can see and cannot see. 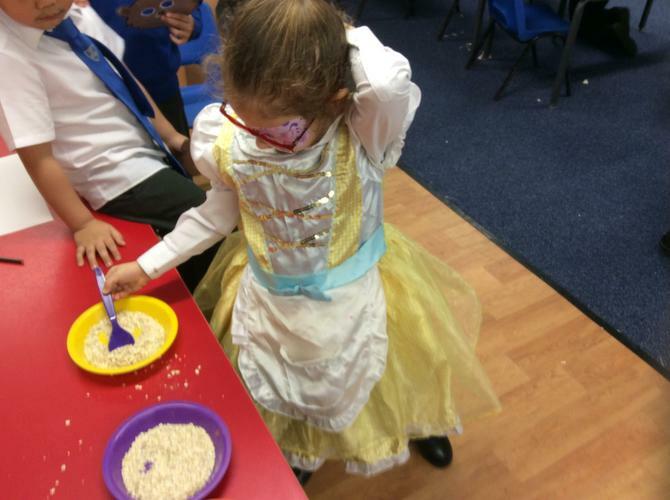 We have been investigating and carrying out simple tests on using out senses. We have used blindfolds to paint pictures like the artist Lisa Fittipaldi. This helped us realise how much people who are blind/have a sight impairment feel and how much they rely on using their sense of touch. 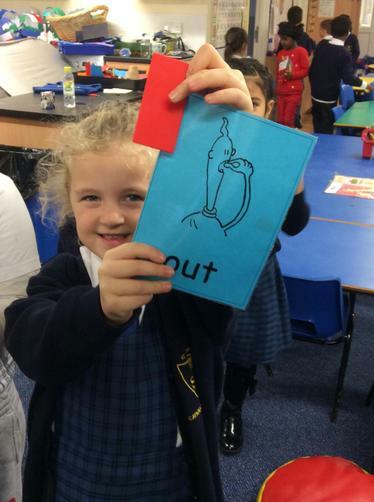 In English we have been working on saying aloud simple sentences out loud. 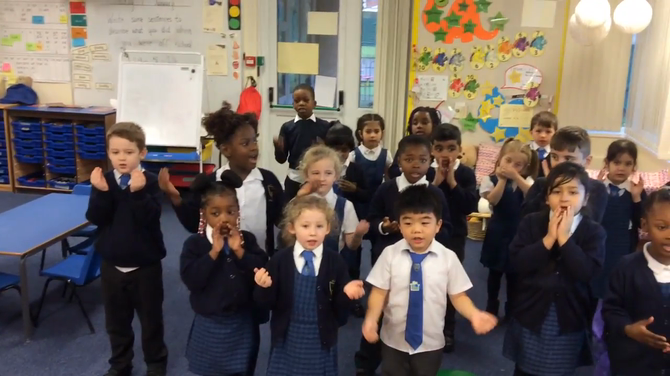 We have been practising clapping the rhythm of the sentences out in different voices e.g. 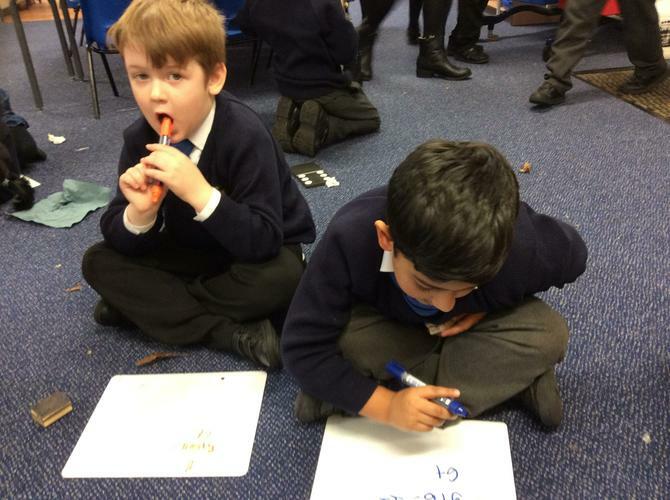 singing, robot etc numerous times before writing the sentences down. Please practise this at home with children. 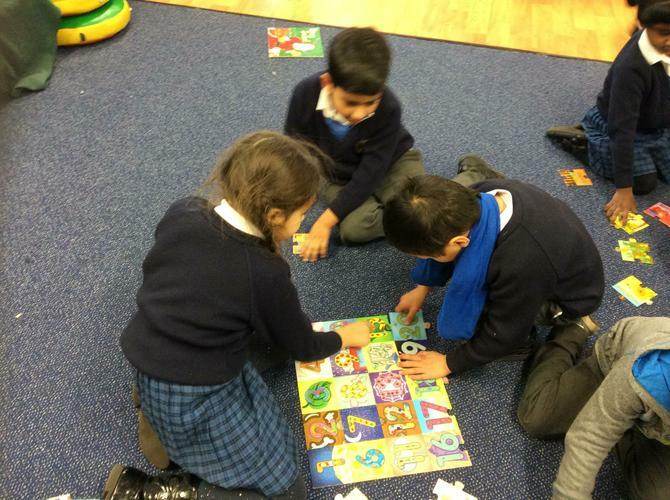 We have also been very busy with reading 'Mr Men adventures with dinosaurs'. 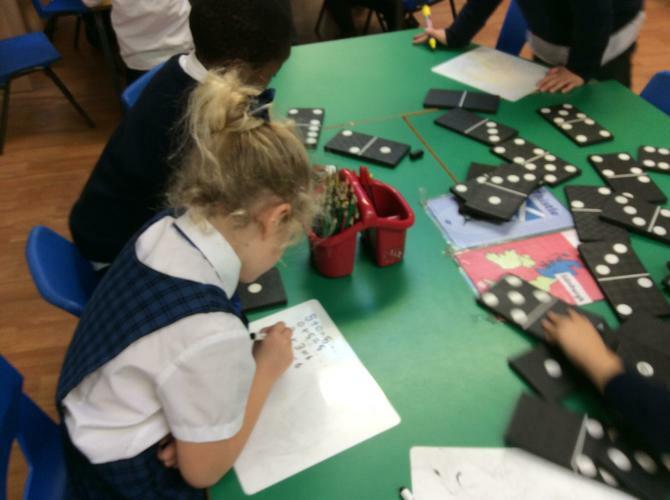 We have been labelling the Mr Men characters using capital letters for names of the characters. 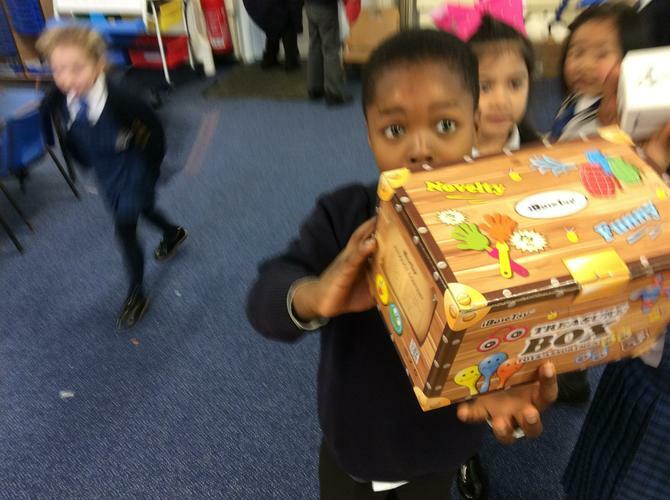 Have you seen Mr Greedy?